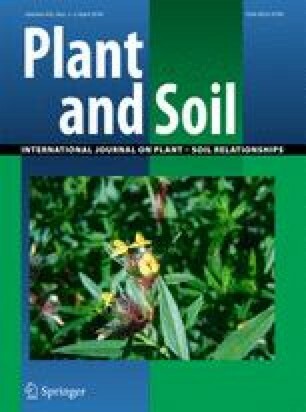 The addition of biochar to soil may offer a chance to mitigate climate change by increasing soil carbon stocks, improving soil fertility and enhancing plant growth. The impacts of biochar in cold environments with limited microbial activity are still poorly known. In order to understand to what extent different types and application rates of biochar affect carbon (C) and nitrogen (N) fluxes in boreal forests, we conducted a field experiment where two different spruce biochars (pyrolysis temperatures 500 °C and 650 °C) were applied at the rate of 0, 5 and 10 t ha−1 to Pinus sylvestris forests in Finland. During the second summer after treatment, soil CO2 effluxes showed no clear response to biochar addition. Only in June, the 10 t ha−1 biochar (650 °C) plots had significantly higher CO2 effluxes compared to the control plots. The pyrolysis temperature of biochar did not affect soil CO2 effluxes. Soil pH increased in the plots receiving 10 t ha−1 biochar additions. Biochar treatments had no significant effect on soil microbial biomass and biological N fixation. Nitrogen mineralization rates in the organic layer tended to increase with the amount of biochar, but no statistically significant effect was detected. The results suggest that wood biochar amendment rates of 5–10 t ha−1 to boreal forest soil do not cause large or long-term changes in soil CO2 effluxes or reduction in native soil C stocks. Furthermore, the results imply that biochar does not adversely affect soil microbial biomass or key N cycling processes in boreal xeric forests, at least within this time frame. Thus, it seems that biochar is a promising tool to mitigate climate change and sequester additional C in boreal forest soils. The online version of this article ( https://doi.org/10.1007/s11104-018-3568-y) contains supplementary material, which is available to authorized users. This study was funded by The Foundation for Research of Natural Resources in Finland (2016085). The study was also supported by the Academy of Finland (286685, 294600, 307222, 277623) and the FCoE of atmospheric sciences (Center of Excellence (1118615). We thank for the staff of Hyytiälä Forestry Field Station for supporting us in the field work and Marjut Wallner for help with laboratory analyses.